While Distinguished Women Shadow Girls are often paired with Honorees who are leaders in fields they know they’d like to work in, sometimes the shadow girls are exposed to a new field they never thought about entering. 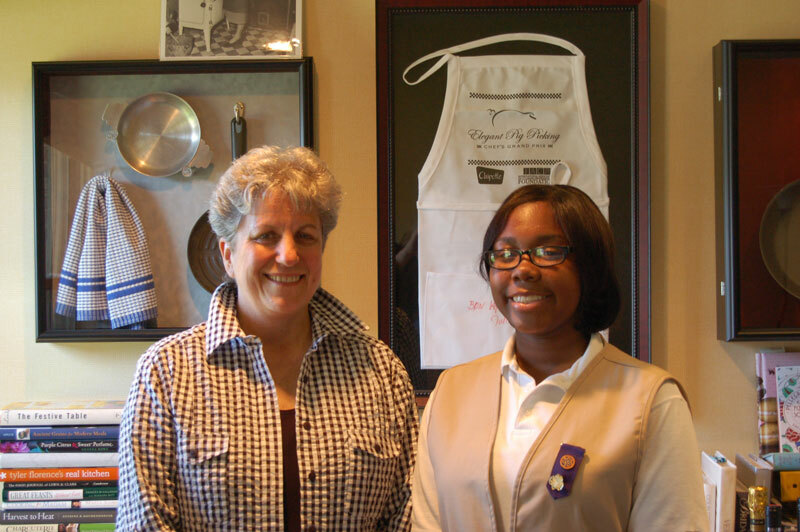 When asked why she wanted to shadow Harriet Dopkin, President of the Classic Catering People, Girl Scout Mercedez answered that culinary arts was a field she didn’t know much about and wanted to learn more. 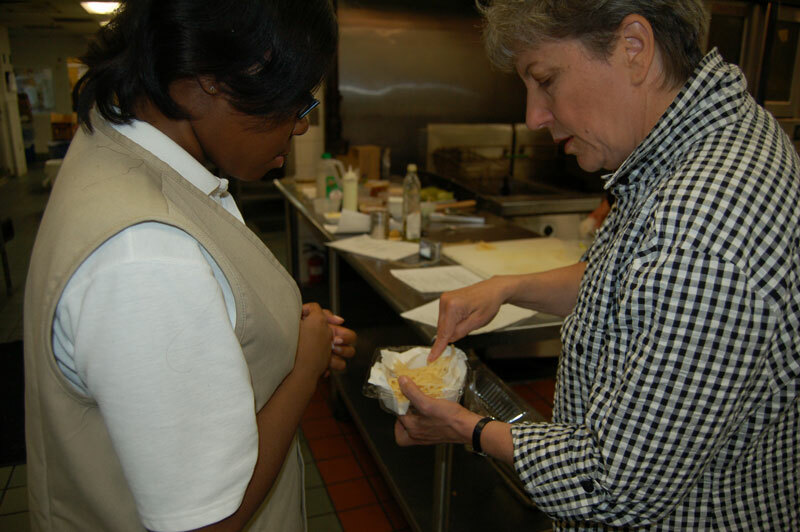 During her day with Ms. Dopkin, Mercedez toured the Classic Catering People’s facilities, watched the chefs work, helped plan a menu and sampled some of the food. Ms. Dopkin shared stories of her experiences learning to cook and traveling the world, and encouraged Mercedez to continue to be curious and find mentors that could inspire her and support her. At the end of the day, Mercedez said that was valuable advice. “Ms. Dopkin taught me that it’s important to admit what you know and admit what you don’t know, and to always be asking questions to learn more,” Mercedez said. Ms. Dopkin said that having someone new to the field allowed her to examine her work in a new way. Proceeds from the Distinguished Women’s Awards Reception and Online Auction support Girl Scout leadership programs like the Distinguished Women shadow days. Mercedez and Ms. Dopkin will speak at the Distinguished Women’s Awards Reception on Thursday, April 26, at 5:30 pm at the Baltimore Country Club in Roland Park–click here to learn more or to buy tickets. The Distinguished Women’s Online Auction ends tonight at 10 pm–click here to visit the auction page. For more information about the Distinguished Women program or to become a sponsor, contact Maria Darby at mjohnson@gscm.org.